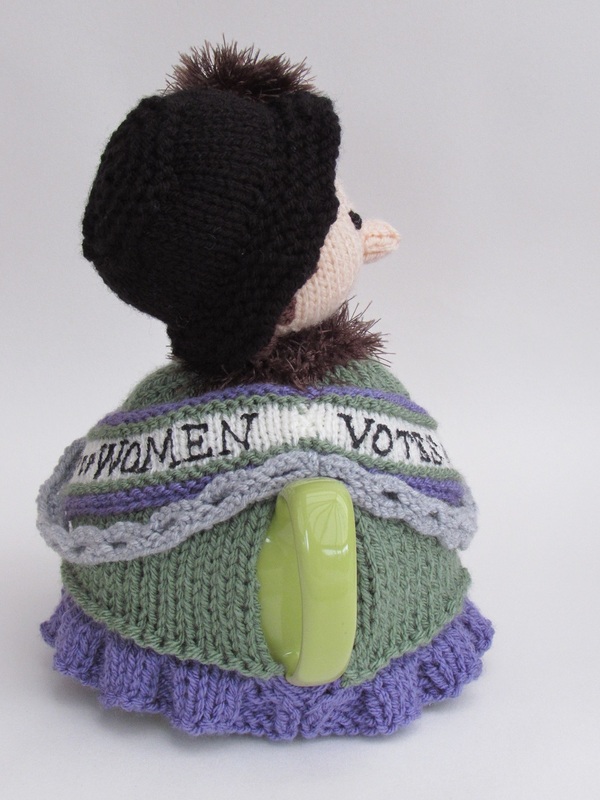 To celebrate the British suffrage movement, I designed a Votes for Women suffragette tea cosy. 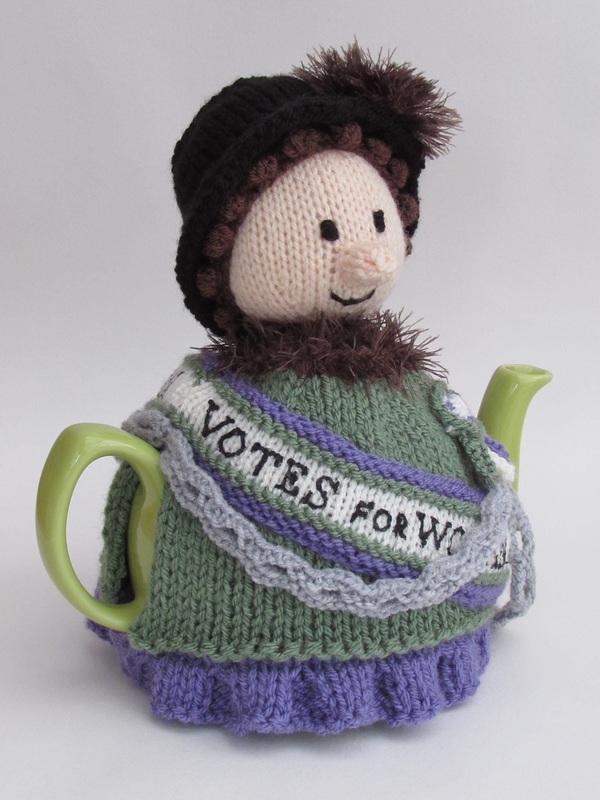 The suffragettes really were the Victorian girl power of their day, and their fight to get women the vote in the UK was amazing. 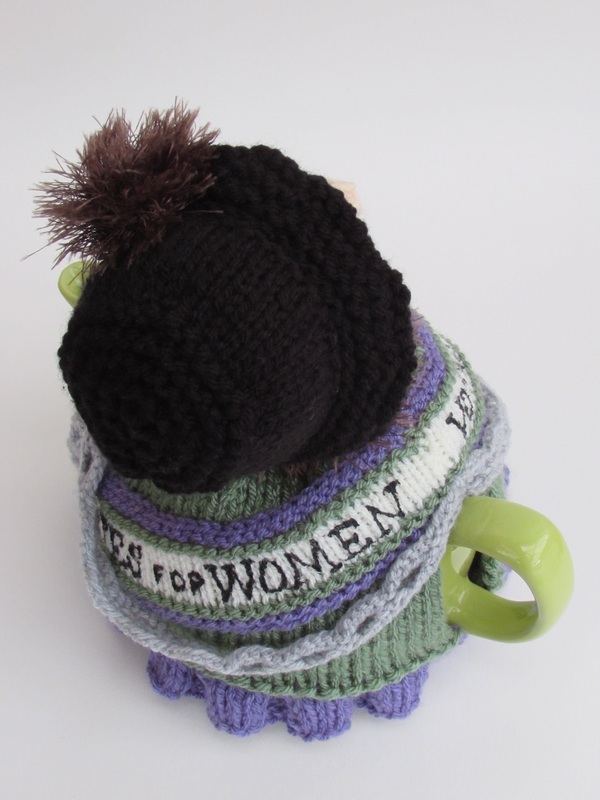 All women in the UK have benefited from the deeds of our suffragette sisters, and this tea cosy is a Well Done salute to them. 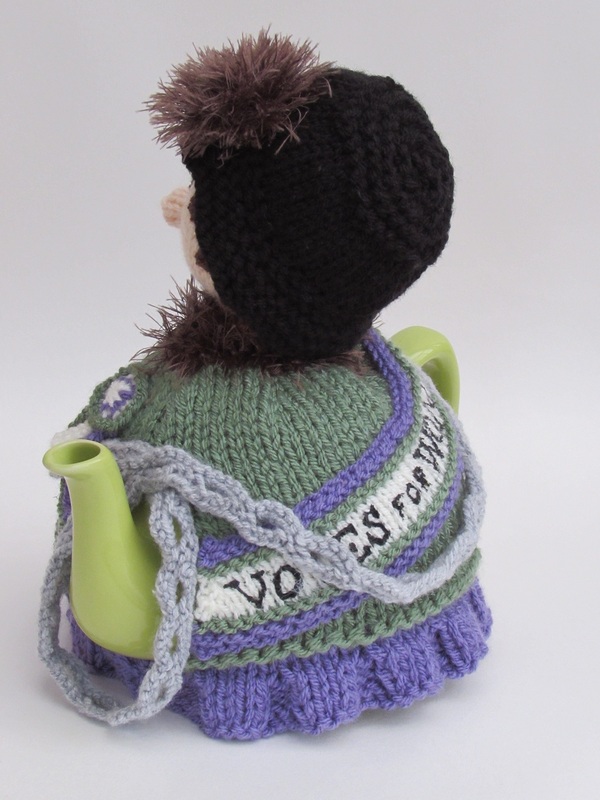 The suffragette tea cosy is a well dressed lady wearing a violet dress under a green coat with a fur collar. 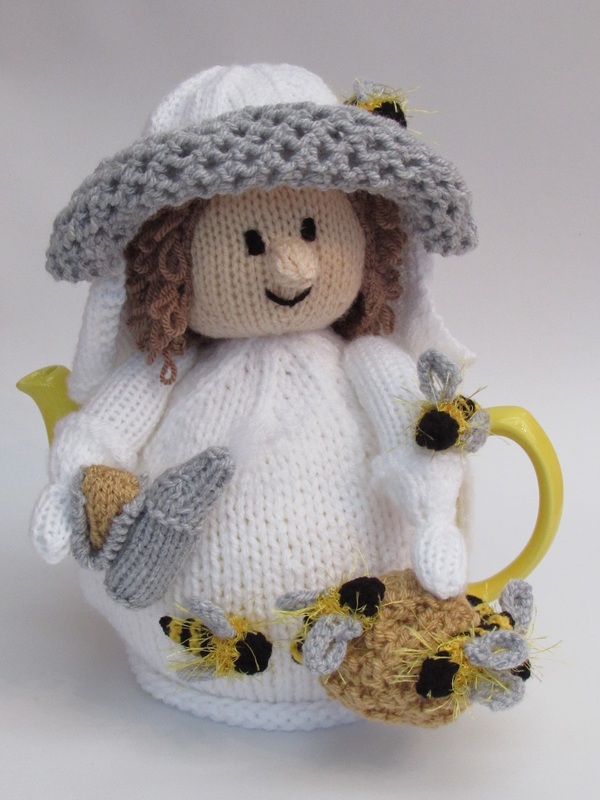 She has curls peeking from beneath a black hat with a fluffy detailing. 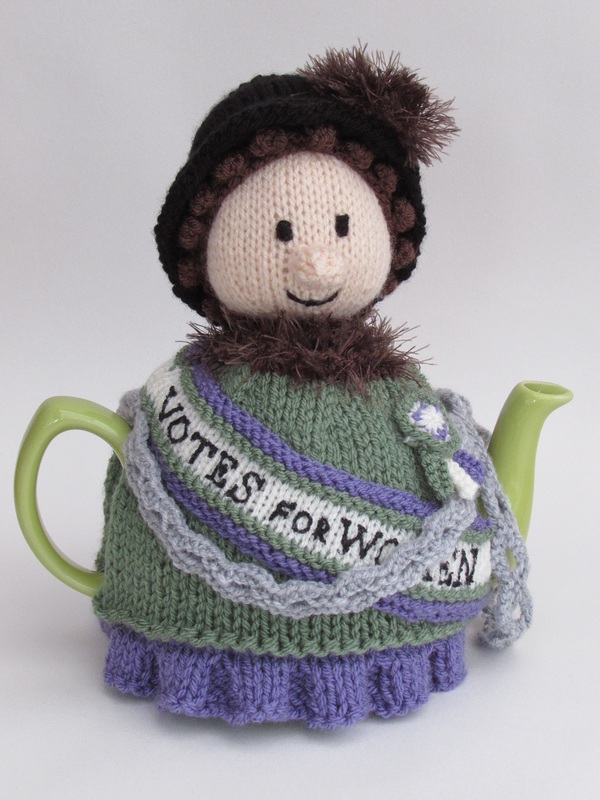 As you would expect she has a Votes for Women sash on and is sporting a suffragette rosette. 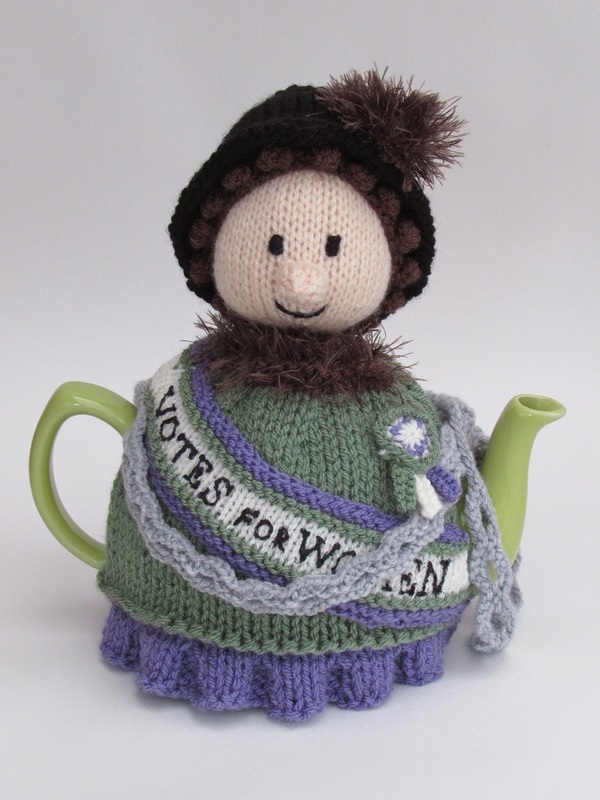 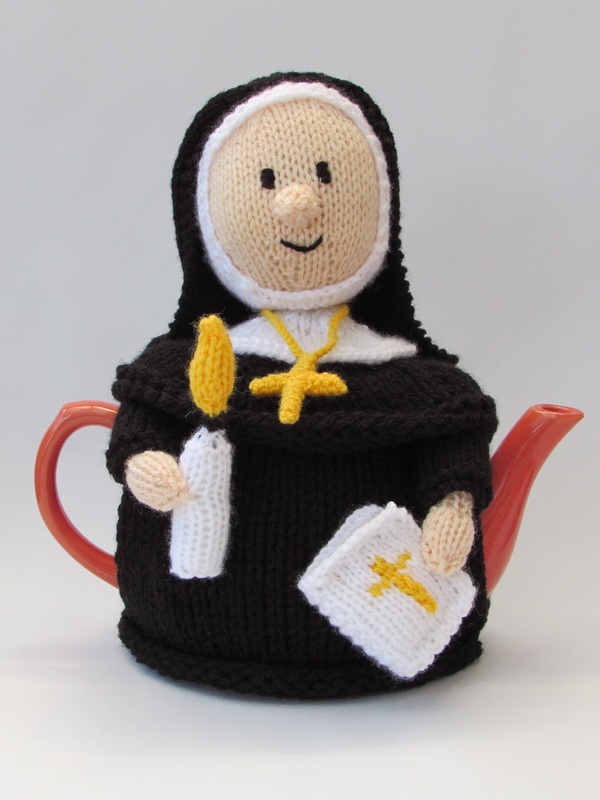 This votes for women tea cosy is currently on a protest and has chained herself to the teapot. 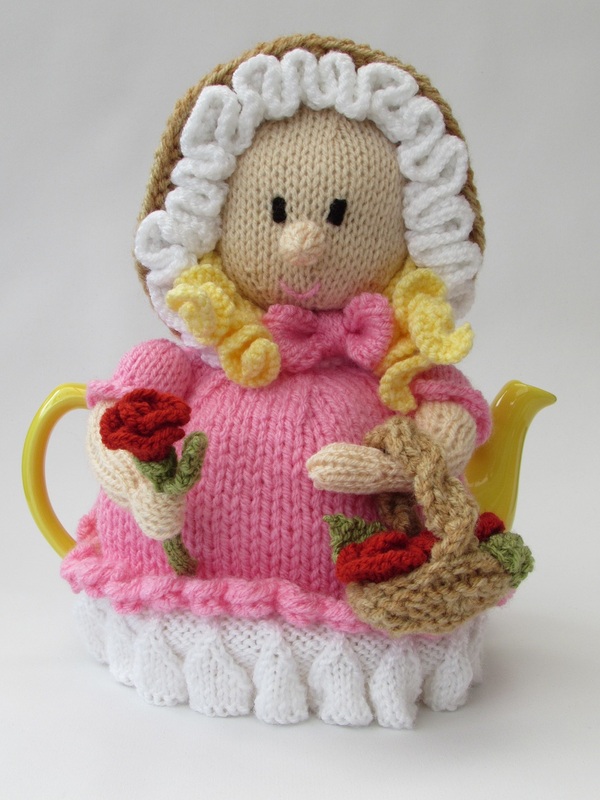 There is a loop in the chain that loops over the spout of a teapot. 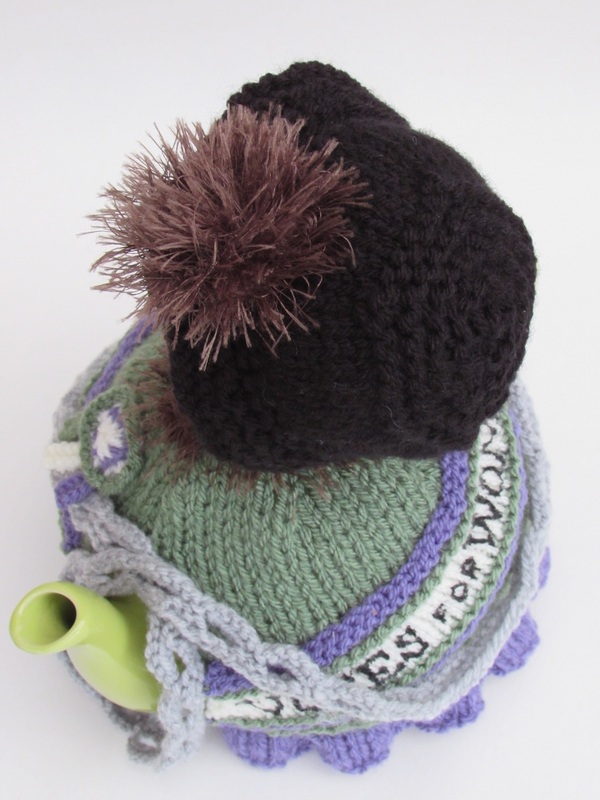 The suffragette tea cosy has a few challenging elements, but I know there are knitters out there that like to try something new. 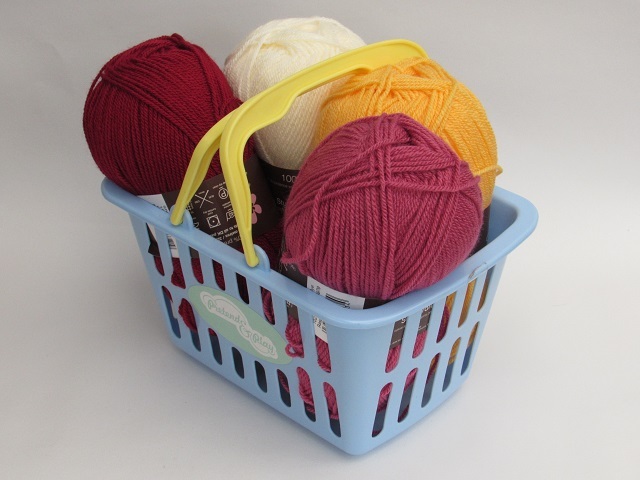 You will need a cable needle, not for cabling for for grafting stitches together, there is a photo for reference. 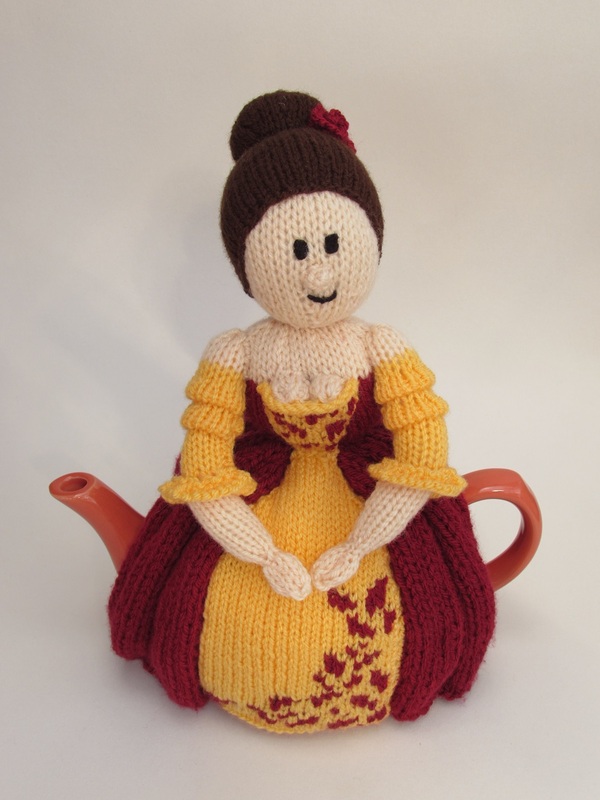 You will also need to knit bobbles which involves turning the work mid row. 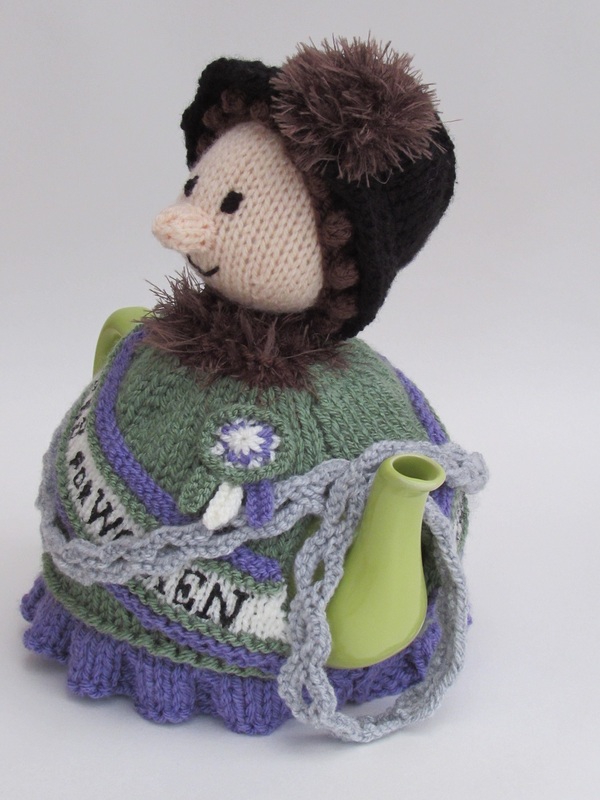 The chain looks more challenging than it actually is, and needs blocking to get the full effect. 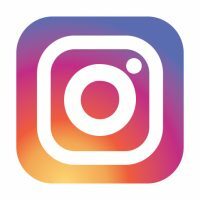 Again there is a photo to show you how you work should be looking for those needing reassurance. 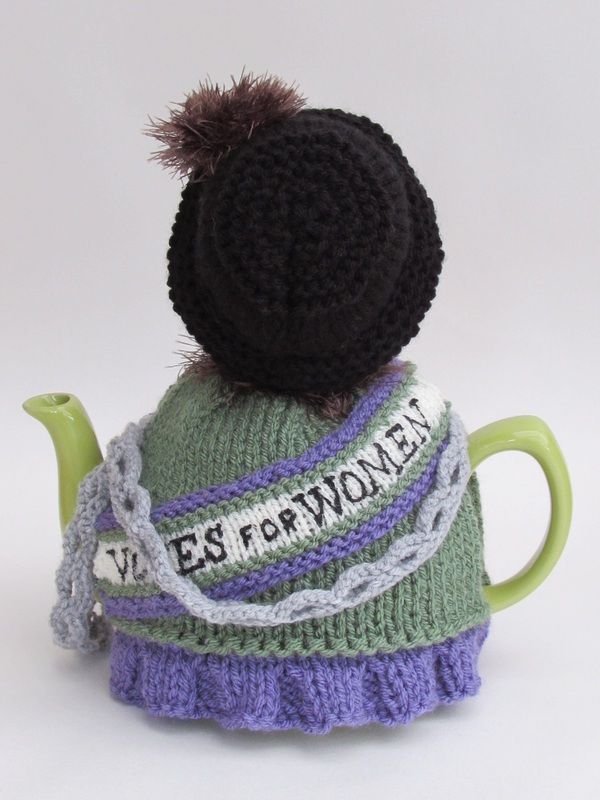 The suffragette tea cosy is great fun to make and she's stunning, a great project to have a go at and enjoy. 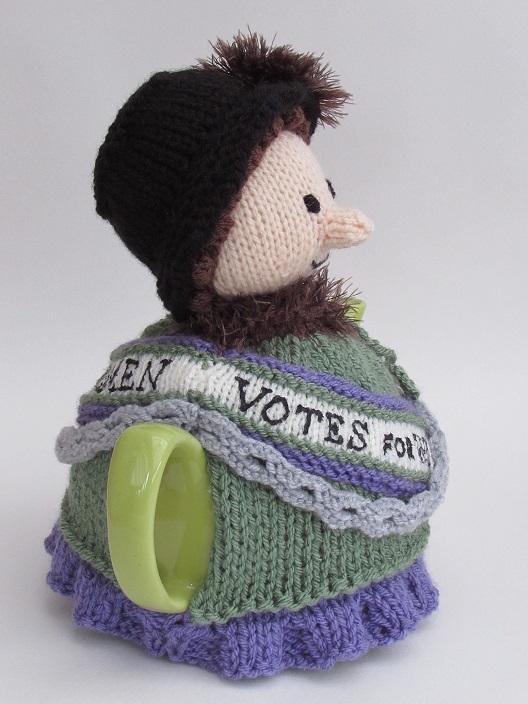 Don't suffer cold tea, get a suffragette tea cosy!